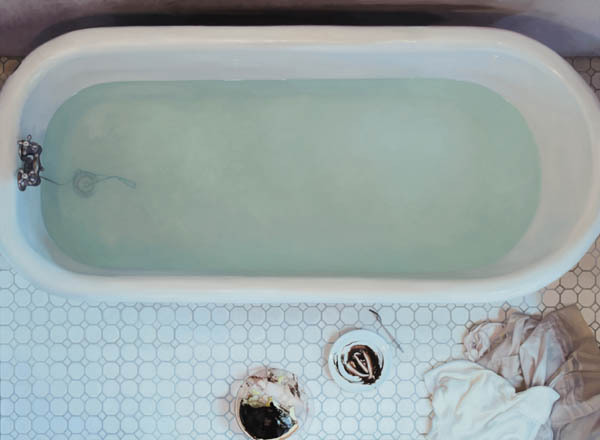 Lee Price is a figurative painter from New York. 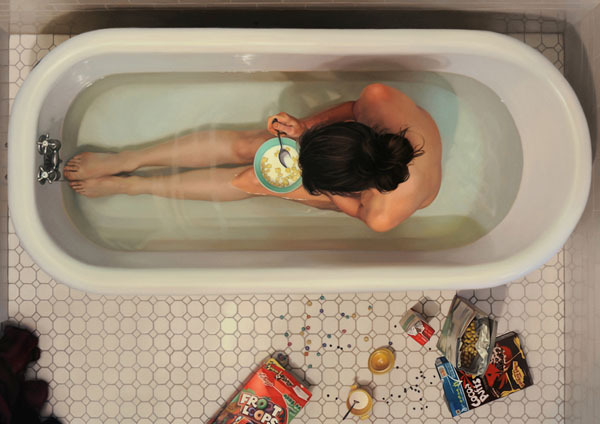 She creates realistic oil on canvas with women and food in their intimate and private settings. About her work she says: “In this society, there’s so much pressure for women to be thin. We’re not supposed to have appetites – and not just for food, but for a lot of things. We’re the givers and not the consumers, and I think some of my recent paintings are about the women staring at the viewers and saying, ‘I’m not going to censor my appetite”. So, it’s a matter of private intimate space, the relation with your body, and to take time for yourself. Finally she recreates her limbo of pleasure. website. Studying this information So i’m happy to exhibit that I’ve a very just right uncanny feeling I found out exactly what I needed. What’s up to every one, it’s truly a good for me to pay a visit this web site, it contains useful Information. about this topic. You realize so much its almost tough to argue with you (not that I personally would want to…HaHa). tYds10 Wow, superb blog layout! How lengthy have you ever been blogging for? an ideal approach of writing? I have a presentation next week, and I am on the look for such info. Stay up the good work! You understand, many people are looking round for this information, you could aid them greatly. awesome and genuinely good material in favor of visitors. Great site you’ve got here.. It’s hard to find high-quality writing like yours nowadays. I honestly appreciate people like you! Take care! !